GRINDING & SUPER FINISHING OF MAIN ENGINE CRANKSHAFT in place. Equipment and Crews Available for Service Anywhere in the World. 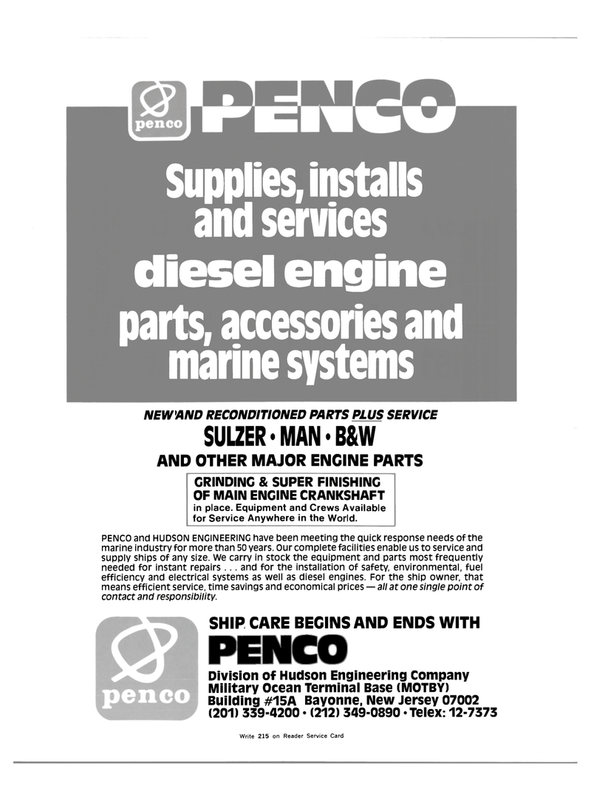 PENCO and HUDSON ENGINEERING have been meeting the quick response needs of the marine industry for more than 50 years. Our complete facilities enable us to service and supply ships of any size. We carry in stock the equipment and parts most frequently needed for instant repairs ... and for the installation of safety, environmental, fuel efficiency and electrical systems as well as diesel engines. For the ship owner, that means efficient service, time savings and economical prices — all at one single point of contact and responsibility.